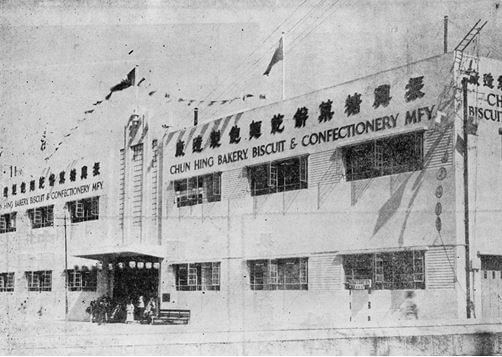 Founded in 1926, Chun Hing Bakery, Biscuit & Confectionery Manufactory (振興糖果餅乾公司, the Chinese name reflects the reverse order – confectionery, biscuit and bakery) was one of the leading biscuit & confectionery firms in Hong Kong alongside Garden, Yan Chim Kee, On Lok Yuen and M.P. San. 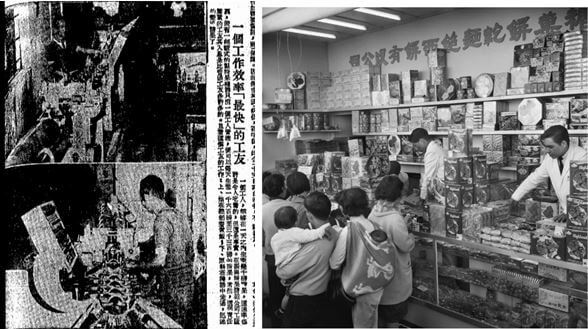 Three major confectionery brands at the 1957 CMA Expo: Chun Hing (G), Yan Chim Kee (I) and On Lok Yuen (F). 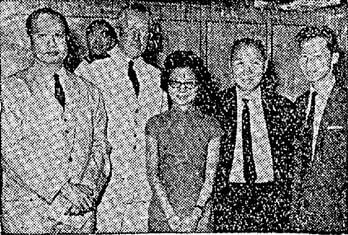 The 1950s and 1960s were the golden decades for Chun Hing. Aside from its head office in Central, the firm had factories in Shaukiwan in HK island and Jordan in Kowloon and retail outlets in Central (Queen’s Road Central), Eastern district (Wanchai, where the Pawn is located and Causeway Bay) and Kowloon (687-689 Nathan Road in Mongkok). Its products were exported to Taiwan, Korea, Japan, Philippines, Myanmar, Malaysia, Indonesia, India, Afghanistan, Iran, Saudi Arabia and America. Old newspaper articles showed a very happy workforce which did not stage any strikes during the 1967 riots. The firm was also a staple at the annual HK Products Expo hosted by the Chinese Manufacturers Association with which Ho was very active. 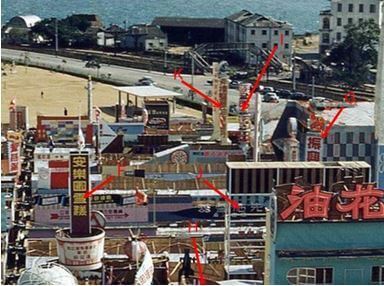 After Ho Chi-wong’s death, the factory in Shaukiwan was demolished in the 1980s and redeveloped into Galaxy Plaza (銀河廣場) and Chun Hing’s various retail outlets were also closed down. However, the Ho family remained active and influential in the business. 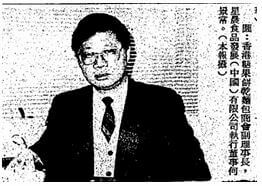 King-sheung was involved with another food company as executive director setting up bakeries in HK and JVs in China. 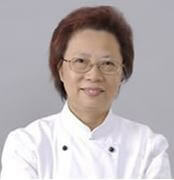 Louisa left the family business to join a Danish pastry manufacturer as the director of their Chinese factory before teaching bakery at the Haking Wong Institute for 15 years. 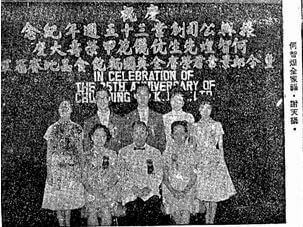 She and King-sheung established the HK Bakery & Confectionery Association in 1988 to provide vocational training for the industry. 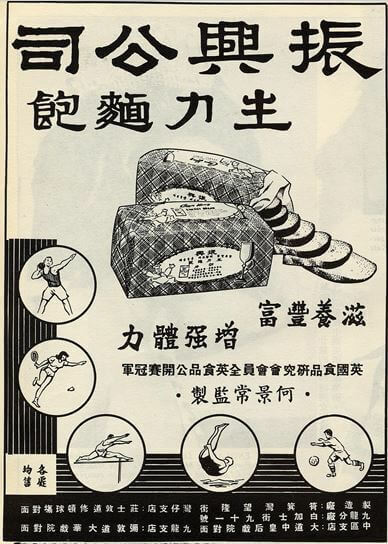 1960s Chun Hing ad promoting its “Energy Bread” which competed directly with Garden’s “Life Bread”. 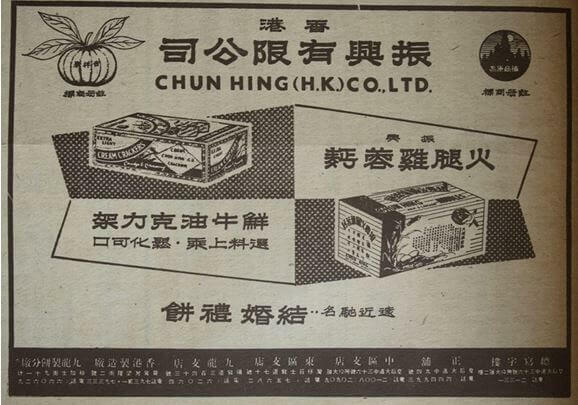 The ad specifically highlight that bread production was supervised by Ho King-sheung, The branches listed in the bottom include Central branch next to Queen’s Theater, Kowloon branch next to Majestic Theater, Wanchai branch next to Southorn Playground and another Kowloon branch at 91 Parkes Street in Jordan. This article was first posted on 2nd June 2017.